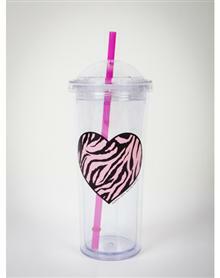 Have your favorite drink in this wild Zebra heart tumbler. What a great gift! FREE SHIPPING!